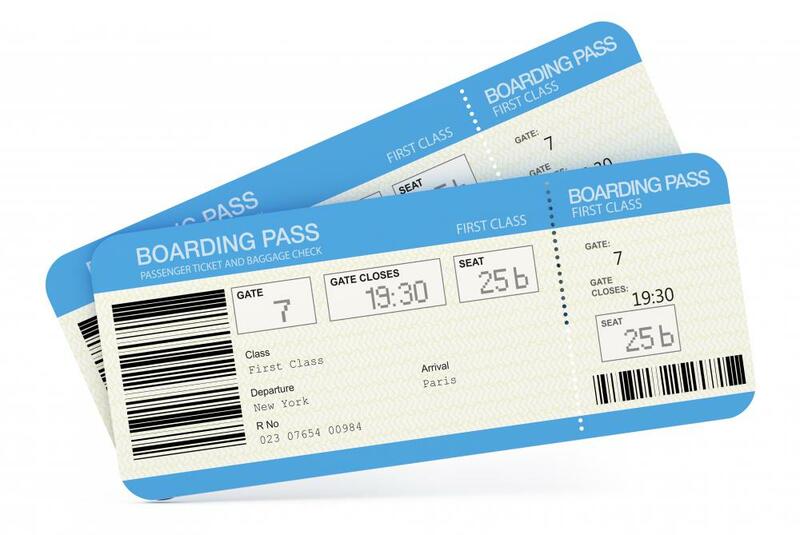 Airplane passenger tickets can be purchased through an airline. 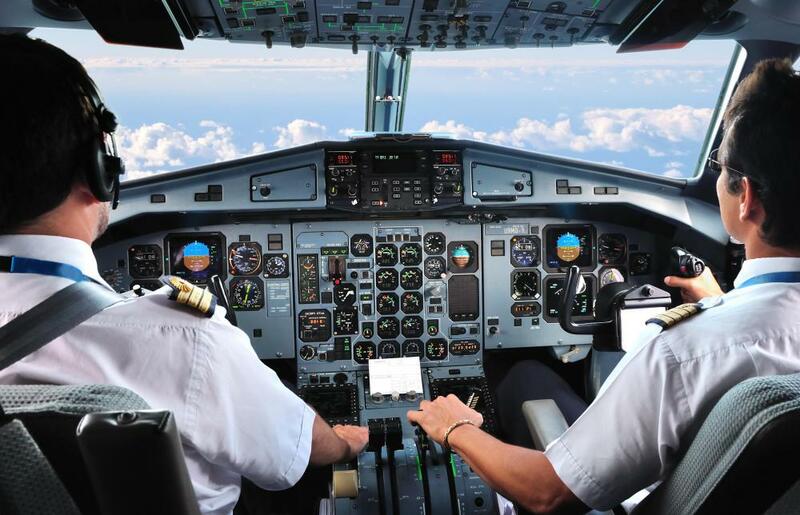 Commercial airliners usually have two pilots and, on older models, a flight engineer, though backup crews may be used on long haul flights. Airlines that focus on regional routes between short runways often use fleets that consist of turboprop powered aircraft. 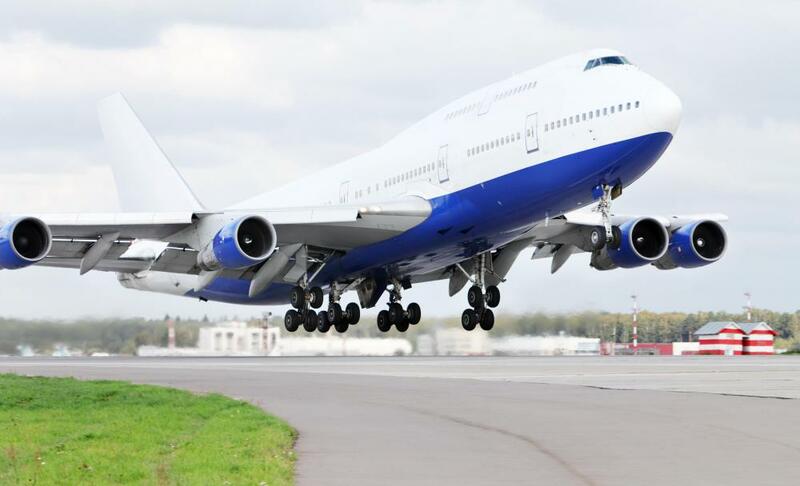 The Boeing 747, which has been nicknamed the "Queen of the Skies", is a four engined commercial jet that is in the service of many airlines. 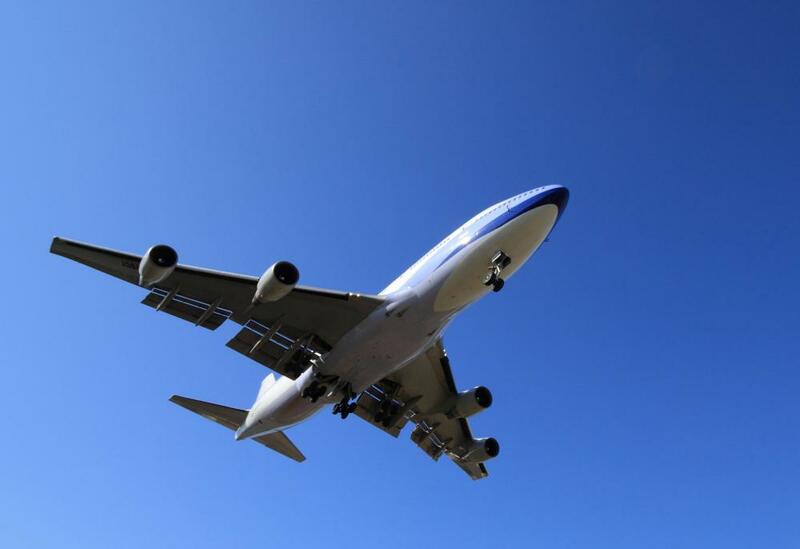 Airlines provide a quicker way for vacationers to reach their destination spot. An airline is a company that offers air transport for passengers and freight. Airlines vary widely in size, from small companies with only one or two planes to huge multinational companies. While the industry initially grew slowly, these companies began to take off in a major way after World War II, thanks in part to large numbers of returning aviators. By the 1990s, air travel had become ubiquitous. Different airlines operate in different ways. Some, for example, purchase their aircraft, customizing them to offer special services such as reclining beds for passengers. These companies staff their planes with pilots and cabin crew who train to work specifically for them. Others lease their aircraft and staff from other companies. In either case, the company is heavily supported by a large ground staff which includes reservation agents, cleaners, caterers, and loaders, among many others. When an airline carries passengers, it establishes a series of regular routes along with a consistent schedule. Most of these routes are set up on the hub and spoke model, with the company having a central hub through which many flights are routed. Passengers can purchase tickets directly through the airline, or through licensed resale agents. Most passenger air carriers also sign codeshare agreements, allowing them to cooperate with other carriers to offer more flights. Freight carriers also typically follow a regular schedule through a myriad of set routes that are designed to efficiently move packages from one place to another. It may supplement its aircraft with delivery trucks, or it may only offer bulk transit from one airport to another, with customers responsible for moving the freight to and from the airport. The cabins of these aircraft are also laid out very differently than passenger aircraft, allowing staff to pack the planes with freight and packages. 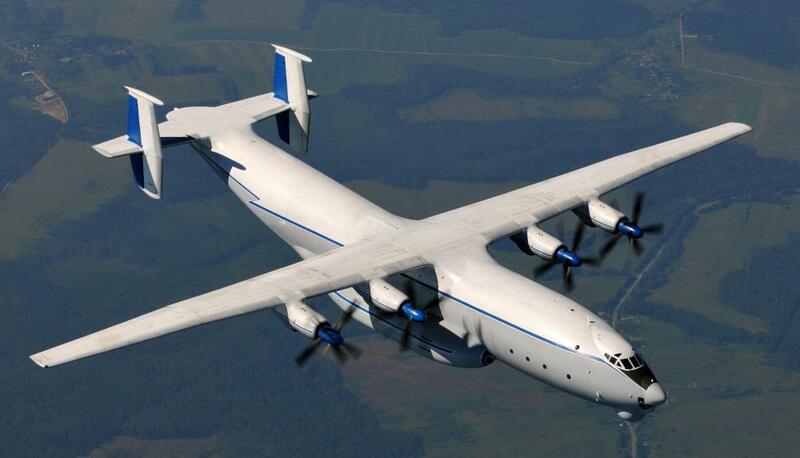 Sending people and goods by air is a rapid and efficient way to get them from place to place. When the air industry became more widespread, prices also dropped, making it a reasonably affordable mode of travel, as well. Government regulation has also increased, to ensure that air travel is safe and secure for people and goods. International standards are also enforced, since many airlines offer flights between different countries, which may have varying degrees of internal regulation. Different airlines have different specializations, including cheap domestic flights, luxury intercontinental travel, or overnight global shipping for important packages. How Have Airlines Changed since the 1960s? Why Do Planes Become Overbooked? What is the Airline Deregulation Act? What Is a Puddle Jumper? What is a Validating Carrier? Is it better to do airline reservations online or through a travel agency? Will one have more airline options than the other? My dad said that when private airlines were first formed in the US, plane tickets were really expensive. Only the wealthy could afford to take a flight and flying was a high-class experience. Now it's a lot cheaper and everyone can fly. What changed with airlines to cause this price fall? I feel scared to fly with small, cheap airlines because I feel like it is not very safe. Smaller airlines tend to have the cheapest flights, but they also tend to have small, older aircraft. I remember I rode on a small aircraft once and the plane was so old that any time there was turbulence, it would shake terribly as if it was about to plummet. I was really scared on that flight. Now I only fly with bigger, well-known airlines with newer, bigger aircraft. I just feel safer. @LisaLou - I don't usually care which airline I fly with either. I am pretty excited that we are getting a Southwest airline in our city this year though. When it comes to different airlines, this is a pretty big deal. They said this would drive down the ticket prices of the airlines by as much as 50%. When they were talking about it on the news, they called it the 'Southwest effect'. It is amazing that one airline can make such a difference at one airport. This airline is also known to be a low cost airline with fewer fees than many other airlines have. We are considered a smaller airport, so in the past many people have driven 2-3 hours to get a better rate at a larger airport. Hopefully with this new addition, we will get cheaper ticket prices without the extra travel. I find it interesting to look at the different airline schedules and flight routes. Sometimes it seems crazy if you are heading east, and you make a stop to the west of your destination before you ever make it to where you are going. If you are on a non-stop flight, you don't have to worry about this. I usually have at least one stop when I fly, and many times this is in the opposite direction of where I am flying to. Their stops are always at one of their hubs or spoke locations. When my friend became an airline flight attendant, she moved to the city where their major hub was. This made travel for her much more convenient when she needed to get to work. I know some people who are pretty loyal to one airline. This might be because they have free miles with them, or they just like their service better. I don't have any airline loyalty and will fly with whoever offers me the best deal. Most of the time I have found the best airline ticket prices when I book directly with the airline. There are many good airline travel sites online, but I don't usually find their fares to be any cheaper than dealing directly with the airline. I have had both good and bad experiences on every airline I have traveled with. They all have their good points and bad points, and all of them have mechanical troubles and flight delays from time to time. I know there can be a big fluctuation in airline fares, but this still seems like a fairly inexpensive way to travel if you are alone. If you have a family of people traveling in a car, it may be more cost effective to drive in a car. If there is just one person traveling, I think it is cheaper to fly. There are several factors to consider when you are trying to decide between flying or driving somewhere. I take into consideration the cost of gas, the amount of time it takes to drive, how much I would pay for extra meals and lodging, and the wear and tear on my car. Usually it is cheaper and much faster to fly across the country than it is to drive. It is easier for me to enjoy a long trip on an airplane than riding in a car for days.